The online whistleblower WikiLeaks is following up its massive exposé of Afghan War secrets by posting a mysterious, encrypted file called “Insurance”. The file size is huge at 1.4Gb, about a hundred times bigger than most of the other files posted. But so far no one has been able to decrypt it. 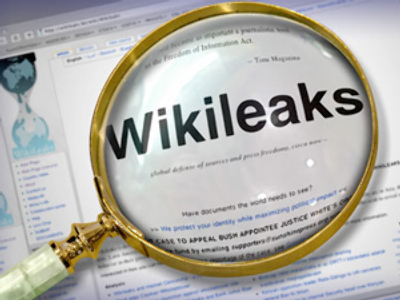 It looks as though when one posts a file like that he feels under threat in some way and, therefore, if any harm comes to WikiLeak’s chief, Julian Assange, any member of the WikiLeaks team, or possibly even the site itself, the key to the file will be published on the website of the project and it will reveal some sort of huge secret. Last week’s WikiLeaks 92,000-page posting about the Afghan war has really made some enemies for Assange and his team. Revealed American secrets of the Afghan war have certainly stirred the US authorities up, and now Assange has every right to feel to be under threat. The posted documents also revealed some real names and GPS co-ordinates of Afghans and informers who co-operate with the allied forces. These people might feel betrayed. Soldiers who are fighting in the conflict also might think that too much information was given away, putting soldiers at risk. Still, the publishing of an “insurance” file could be a publicity stunt – it was done so that public has something to discuss and not to forget the latest notorious publication. So there no need even to publish any new information – the public is busy discussing the latest developments. The latest leaks became the biggest in the history of the US army. In fact there is nothing new in the news that innocent civilians are being killed in Afghanistan by the American military, but the collection of thousands of documents, many of which contain tactical information the US command would prefer to keep under wraps, has really shocked the public worldwide. Cheney: head of "executive assassination ring"?